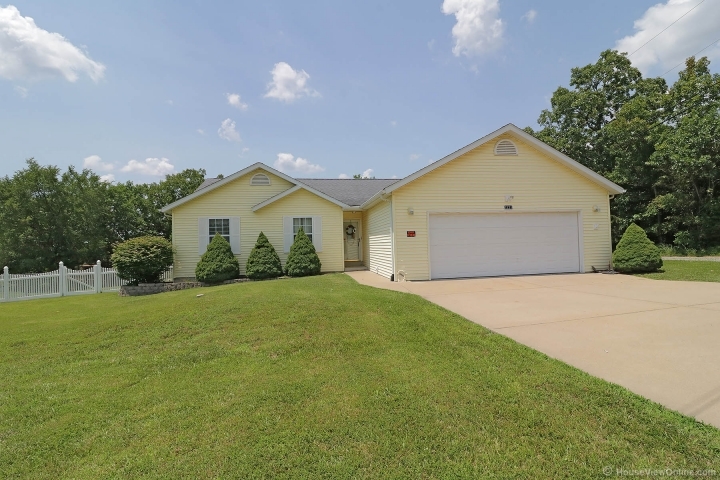 Beautiful 3 bed and 2 bath Ranch Home in Terre du Lac lake resort with beautiful views including a view of the golf course. Home offers an open-floor plan with a large living room, dining, and kitchen area. Kitchen has breakfast bar and patio doors that lead to the screened in back porch. Master bedroom suite has large bathroom with oversized shower stall, and a walk-in closet. Great location - walking distance to Lac Marseilles for fishing or swimming at the beach! Home is all-electric and low-maintenance, with fenced yard. Main floor laundry!! Two car attached garage and a 12x8 garden shed for your tools.